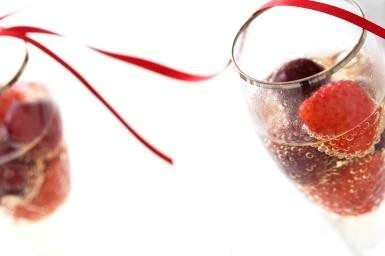 This luxurious recipe is one of the easiest ways to dress up a glass of Champagne. It cannot get any easier than a shot of smooth Pure Class topped with a phenomenal Champagne and a lone raspberry. Often served as a shooter, just shake & strain into a shot glass and go for it. The Cinnamon Syrup is an optional ingredient to the original recipe for two reasons: I felt that it needed a little something extra and cinnamon is a great compliment to coffee. The cinnamon syrup is very easy to make yourself and I’ve found that it is a great addition to regularly stock in both the bar and kitchen because it is one of those ingredients that can be used to enhance many different recipes, even if that is just your morning cup of coffee. If you prefer, use another flavored syrup to customize the martini to your own taste. This rich and creamy vodka-based drink is wonderful as an after-dinner dessert cocktail.